The Hard Rock just welcomed a new member to their family. Indeed, the new family member joining the table is Evolution Gaming. And their role is pretty simple. In fact, they’ll supply the Hard Rock Casino with Live dealer games streamed from their new studio in New Jersey. The popular games include, of course, Blackjack. But Evolution is famous for the flexibility of their games. And the several options they offer like Bet Behind and side bets of course. But that’s not all! Hard Rock Casino will also distribute popular live table games such as Three Card Poker, Ultimate Texas Hold’em, Baccarat, American Roulette, and Slingshot Roulette. Following the news, Lee Terfloth, Director of Product, iGaming, at Hard Rock said. “As well as building Atlantic City’s premier destination casino. We want Hard Rock to be the number one online destination for New Jersey players”. Perhaps you’d like to know that Evolution’s award-winning games are also available offline! In fact, if you visit the Hard Rock, you’ll have the chance to play Live roulette with online players as well as offline players, thanks to the one of a kind Dual Play Roulette game. Evolutions James Stern, Director of Business Development & Land-based Sales, said. 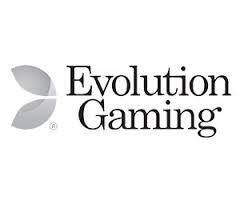 Without a doubt, Evolution is one of the biggest live casino games distributor in Europe. And the deal with Hard Rock is the first agreement signed by the giant on American soil. But given the fact that Evolution games are so good, we think more casinos will offer their product real soon! So stay tuned for upcoming updates and make sure to remember their name.